Every year, we choose a new location somewhere in the mountains of BC and establish a luxurious alpine basecamp with access to spectacular mountaineering. 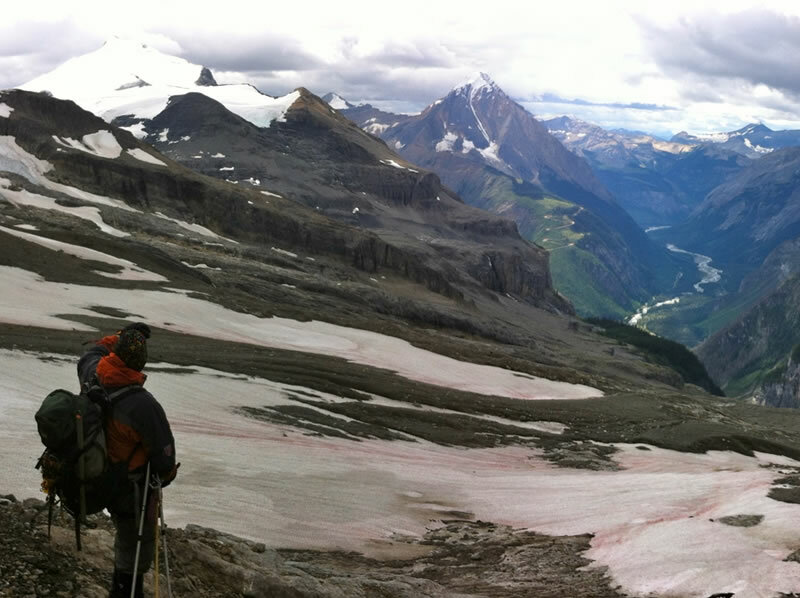 The BMC offers week-long, fully guided and catered backcountry mountaineering trips in a different BC basecamp location every summer. Low guest to guide ratios, small and intimate camp size, gourmet food, comfortable camp accommodation and amazing staff are the hallmarks of the BMC. 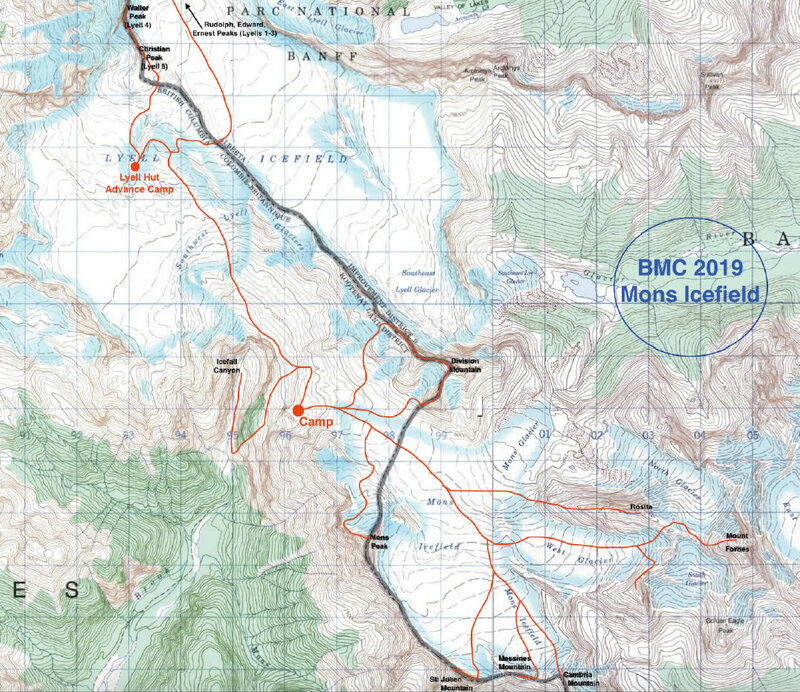 Founded and built by Brad Harrison, the BMC continues to provide adventurous people with access to some of the most remote and spectacular wilderness mountain areas in Beautiful British Columbia. No crowds, no logistics, just awesome alpine climbing and hiking, great food and mind-blowing scenery. 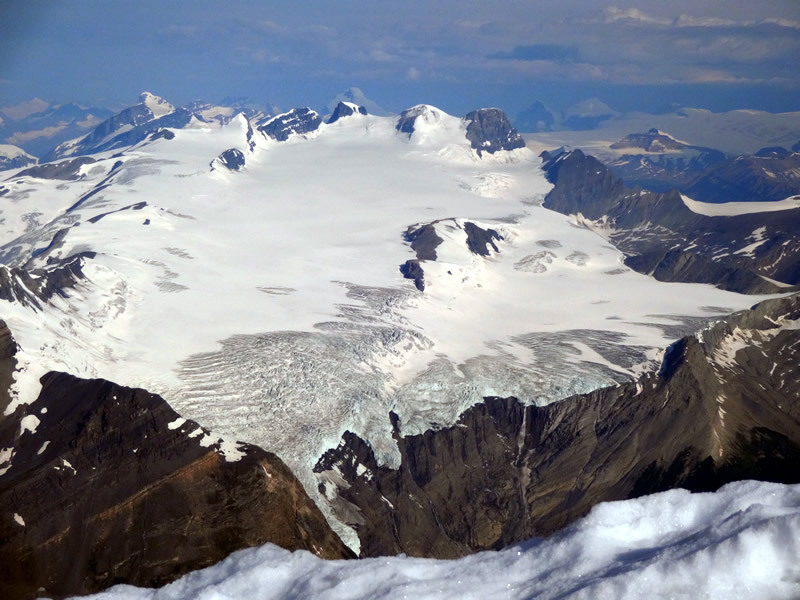 Accessible Peaks: 6 summits over 11,000' including Mt. Forbes and the 5 Lyells. 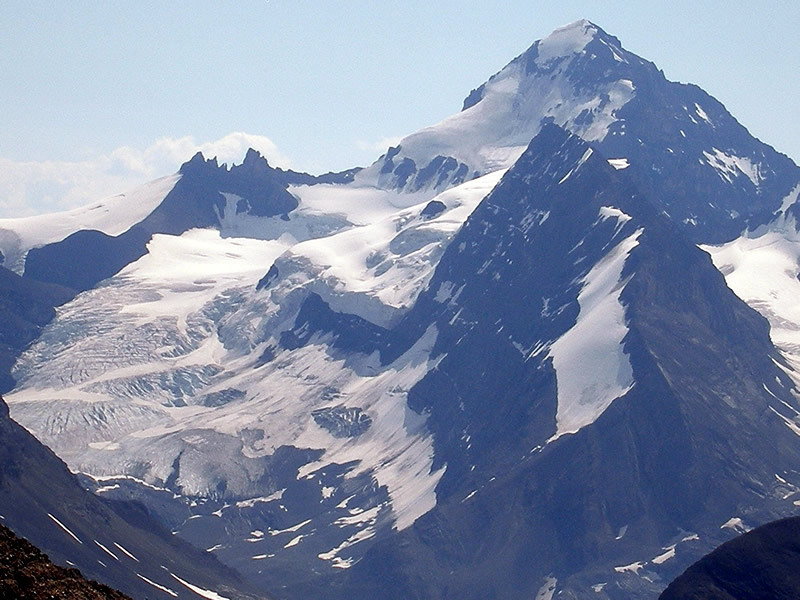 Other objectives include Mons Peak, 3 Division Peaks, Mount Rosita, Messines, St. Julien and Cambrai Peaks, plus the unique Icefall Brook canyon. Week 1: July 7 - 14, 2019. Week 2: July 14 - 21, 2109. Week 3: July 21 - 28, 2019. Week 4: July 28 - August 4, 2019. Week 5: August 4 - 11, 2019. Week 6: August 11 - 18, 2019. Included in Price: Helicopter flights in and out, single occupancy tent accommodation with mattress, cook and gourmet menu for all camp meals, 3-4 ACMG certified guides, group climbing equipment, hot shower. Not Included in Price: Transportation to/from Golden, parking in Golden, Golden accommodation and food, shuttle bus fee, sleeping bag, personal climbing equipment, cancellation and rescue insurance.